Hollywood film studios are ramping up efforts to secure their networks following the brutal cyber attack against Sony Pictures that experts estimate could cost them $100 million. X-Men: First Class has received rave reviews as it reboots the ‘fatigued’ X-Men Franchise this week. 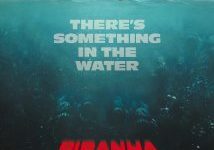 Did Piranha 3D prove to be the stellar hit to unseat Samuel L Jackson’s epic Snakes on a Plane?